Our League is a non-competitive league, which is noted for being a regular social activity involving good exercise, fun times and camaraderie. There are no “teams” (or team pressure). Bowlers’ averages are maintained on an informal basis throughout the season, and a number of prizes are awarded at the end of the season to celebrate special achievements (with and without handicap), i.e. for high average, high game, and high series. Venue: the Merivale Bowling Centre, 1916 Merivale Road (south of Hunt Club Road), Monday afternoons, from 1:00-3:00 p.m., from September to April. This is a drop-in activity where players pay $13.00 for 3 games, of which $1.00 goes towards individual prizes. A weekly 50/50 draw also generates funds which are put towards prizes. Proper bowling shoes must be worn (and can be rented on-site if necessary, at a cost of $2.50). Regular bowlers quite often purchase their own shoes. 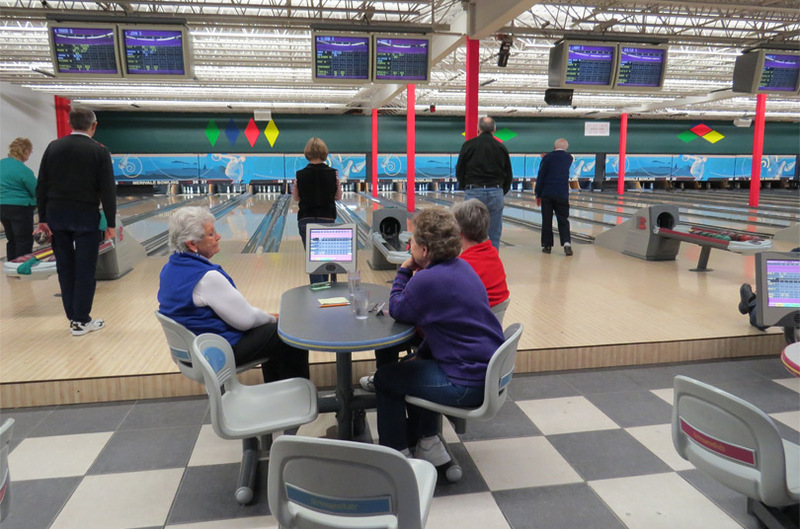 There are two parties per season (December and April), held in the dining room of the Bowling Centre immediately following bowling.